Fitxategi:Forsyth montana 2008.jpg - Wikipedia, entziklopedia askea. Aurreikuspen honen neurria: 800 × 519 pixel. Bestelako bereizmenak: 320 × 208 pixel | 640 × 415 pixel | 940 × 610 pixel. 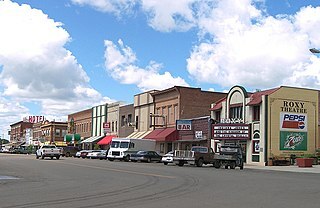 English: Downtown Forsyth, Montana, United States. © 2008 Larry D. Moore. Licensed under CC BY-SA 3.0.